According to a recent USA Today article, healthcare-associated infections affect nearly 1 in 25 hospital patients. During our time at the Advanced Technology Development Center (ATDC) Technology Showcase, we spoke with a company that is taking on this problem. 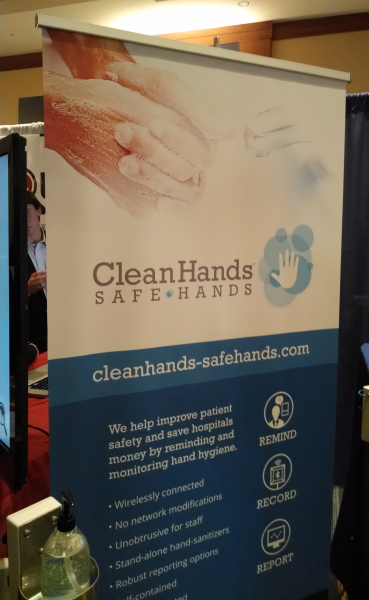 Clean Hands Safe Hands has developed an ingenious system to increase hospital hand washing, and thus prevent infections. It makes sense. Hospital staff members are incredibly overworked. At the end of a long shift, it is easy to forget to wash your hands.